Sunday, November 11, 2018, 3 p.m. TICKET PRICES : General: $38. Student (w/ID): $20. 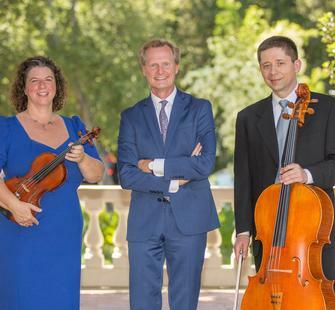 The Saint Michael Trio reprises the approach that made their second album so popular: a program of music alternating between the profound and playful. One moment, they will delve into the dark depths of 19th-century Russian masters like Anton Arensky; the next instant they will ricochet to Stevie Wonder. Can it possibly hang together? Absolutely—and Saint Mike will show you how.